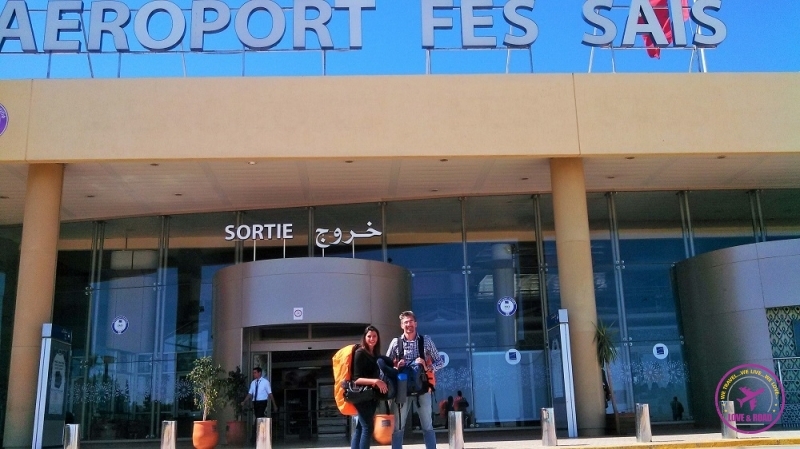 The journey wasn’t easy but finally we arrived in our last destination: Fes, Morocco. Unbelievable, our Moroccan trip was almost in the end, we just had three more days to enjoy. So far we have been in Marrakech, Essaouira, around the Moroccan countryside, the Sahara Desert, Azrou and now Fes. Morocco was our home for 20 amazing days. Much more than we expect, an intense experience and unforgettable memories. During all this journey Fes definitely wasn’t a highlight. I know, I know, most of the people fall in love with Fes, but it didn’t shake my boat. The Moroccan desert and Marrakech were so extraordinary that Fes just look like a beautiful town to me. Another positive/negative thing was our Riad. 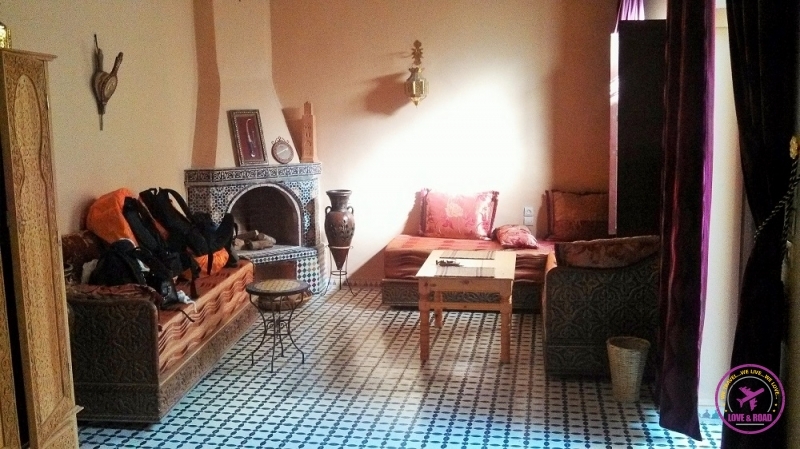 The room was so comfortable, so beautiful with traditional Moroccan decoration, that I didn’t want to leave the place. 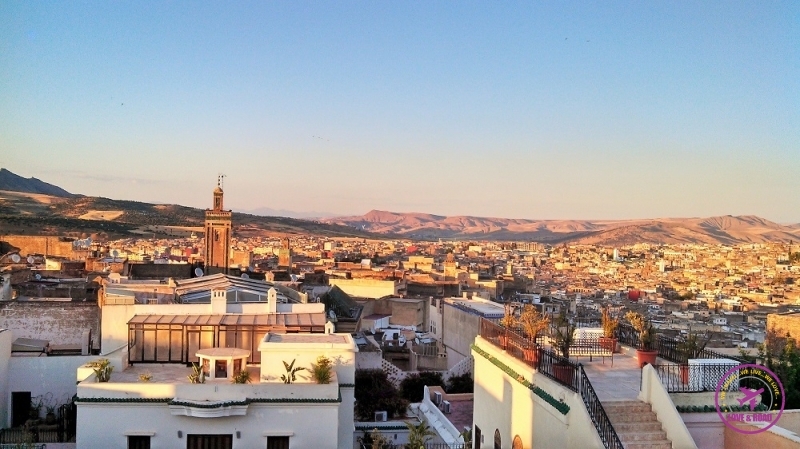 And from the terrace we had a great view of Fes, Morocco`s mountains and ancient Medina. The Medina is the heart of city, the architecture is stunning. Visit all the big doors, but give an extra attention to the Bab Boujloud gate. 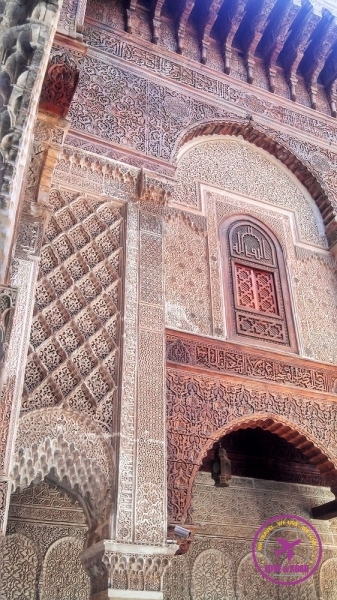 Also the medersas (islamic schools) are worthy to visit: Al Attarine Madrasa – the biggest one, and Medersa Bou Inania. We visited both. 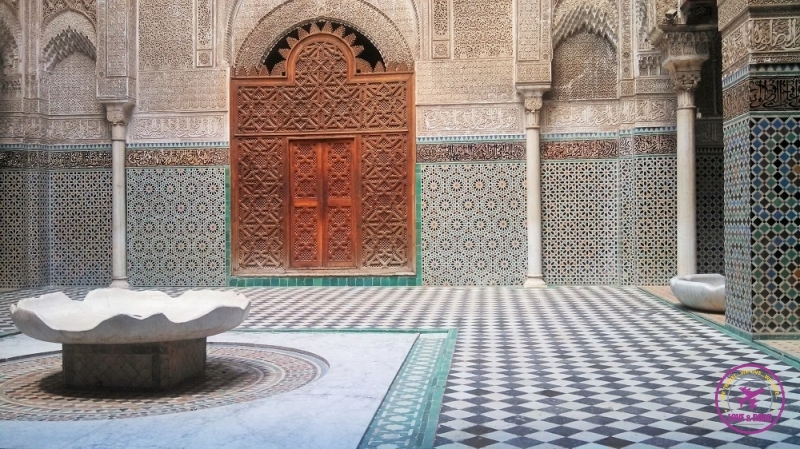 Coloured tiles, Arabic inscriptions, wood carved ceiling and doors are masterpieces of Moroccan design. Another must see place is the Mosquee et Universite Karaouiyne. You can’t get inside, but from the two doors is possible to appreciate the place. With more than 1200 years of history, this building is known for being one of the biggest mosques in Africa and one of the oldest universities. For sure we walked up and down on the Souks for several times. Amazing handcrafts stuff, clothes and Moroccan souvenir. Those tiny streets are always packed, and during the morning when the goods are delivered, horses and donkeys share the alleys with tourists and locals. The scenery is like a picture from the past. The tanneries are a big thing in Fes and in Moroccan culture. Everybody who visit the city wants to see how they clean, dye and prepare the leather. All the process is made by hand and sometimes not in a good work condition. We decided to not visit the Fes´ tanneries. So sorry we don’t have pictures. As I already told, we were tired and our tannery experience in Marrakech wasn’t that good. So instead of going to the smelly tannery, we bought a Moroccan leather souvenir: a cute wallet. A trip to Fes, Morocco, can not end without a stroll outside the Medina. On the top of a hill is located the Tombe dei Merenidi, beautiful ruins and an incredible view. From there you can see all the walled city. It didn´t seem to be a dangerous place, although we were hit by some stones. Hidden people threw them. We couldn’t see where it came from, so we took our pics and run away from there 🙁 . This was the only incident that happened with us during the 20 days Moroccan tour. Fes was our last opportunity to taste the delicious Moroccan Food. Of course our last dinner was a traditional Tagine. A bit different from the ones we tried in Marrakech and on the desert, but delicious anyway. Our Moroccan Expedition came to an end! From a dream trip we passed through a cultural shock, awesome places and amazing people. Now we have incredible memories. Have already been in Morocco? How was it? Leave here your thoughts! Amazing pics. I’m curious… Did one of you stay behind the pack to take the photos of the trailing camels? So happy that you enjoyed reading our stories! Thank God none of us got sick during the 20 days we visit Morocco. Was an amazing experience. I´m sad you two didn’t had the opportunity to enjoy more, you definitely should go back, the night in Sahara Desert is amazing! We just finished up a 20 trip in Morocco as well. 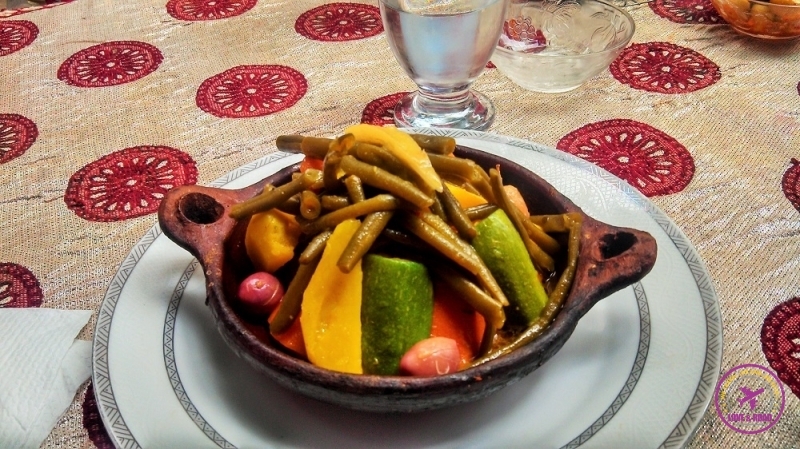 I will say I was well done with tajine for meals after day 3…. 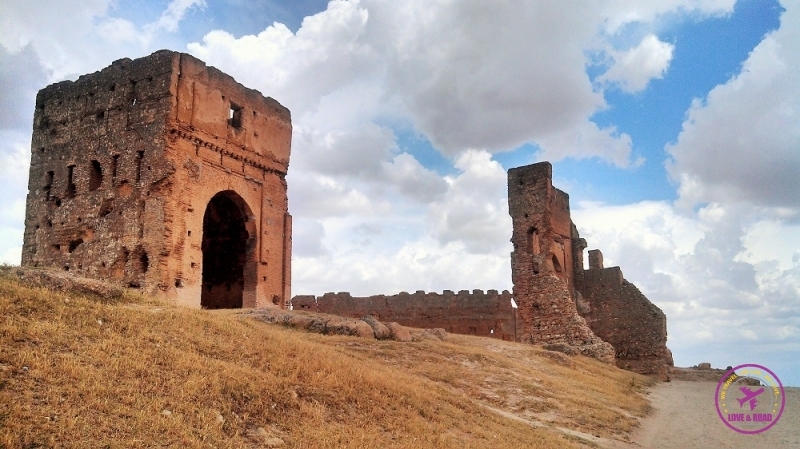 Fez was good for us, we loved the night spent in the Sahara desert but Essauoria was our favorite! Essaouira was one our favorite places too, such an good vibe and calm city! What a wonderful post! All my memories come back again and glad you did go to the desert to – my TOP thing to do in Morocco. Nothing can beat waking up in the morning, climb a sand dune and see the sun rise – magical! Unfortunately I was there only for 12 day and sure hoping to go back again soon – especially after reading your post! Morocco is really amazing! Safe travels! If you travel again to Morocco make sure you visit the mountains around Azrou city, it’s not so touristy and it´s a beautiful place. A taste of real Morocco! All the best, happy travels. I’ve never been in Morocco, but I want to be there, it seems to be a nice place to be.